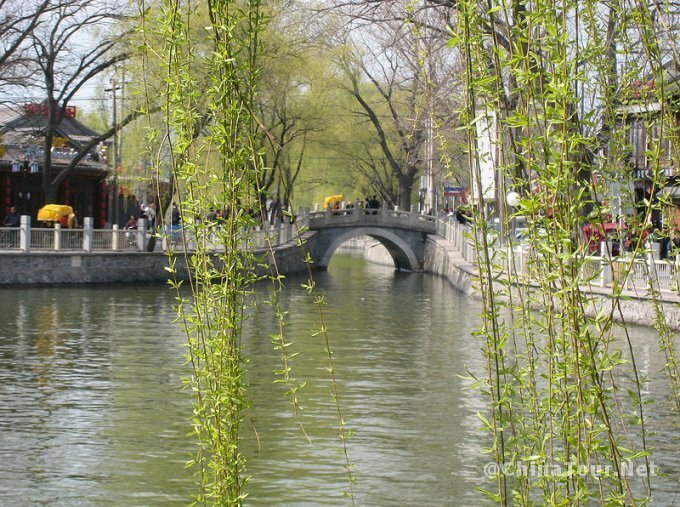 Shichahai has both beautiful sceneries as well as rich historical legacies. 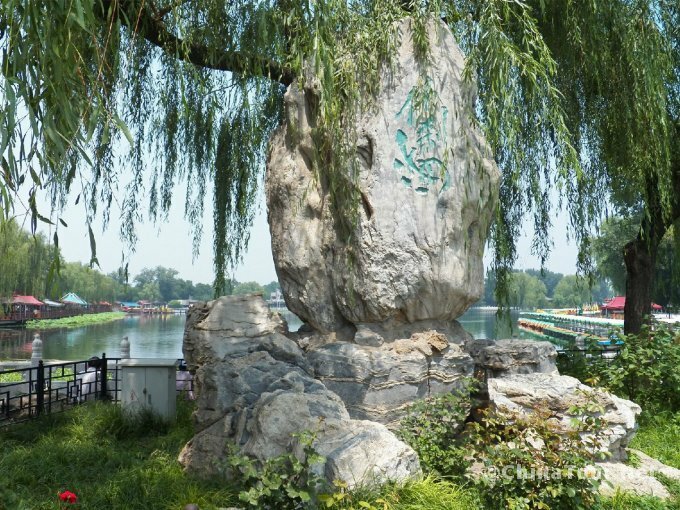 A famous essay, once written in ancient times, says that during the spring it is like the West Lake in Hangzhou; yet during the summer it reminds one of the Qinghuai Rivers in Nanjing. 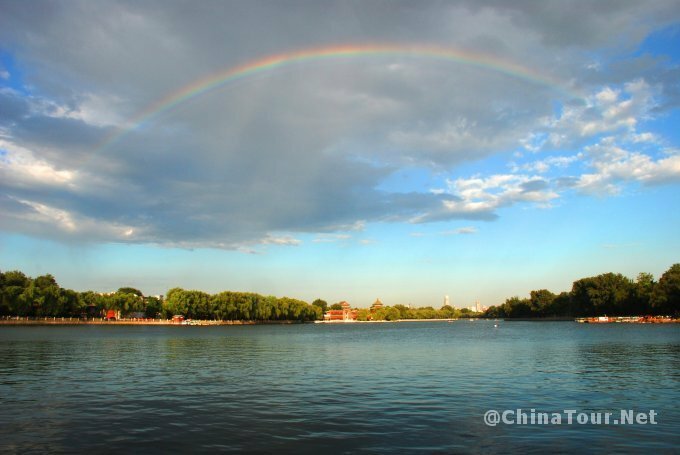 The poem, whose author is unknown, referred to the autumn season as a time that makes Shichahai a blissful reminder of the Dongting Lake in Hunan. 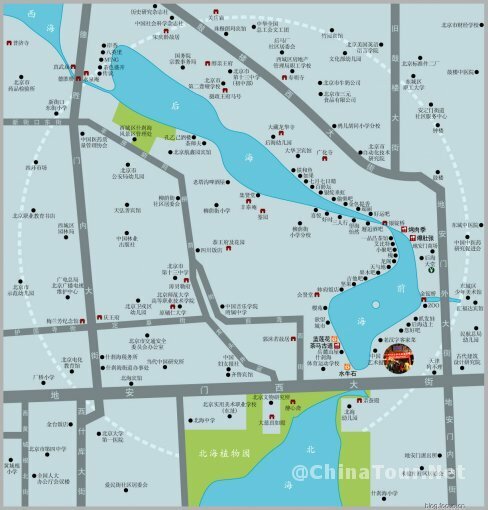 Shichahai has the densest collection of cultural tourism resources, having altogether 40 historic sites under protection, with three of them under national protection. 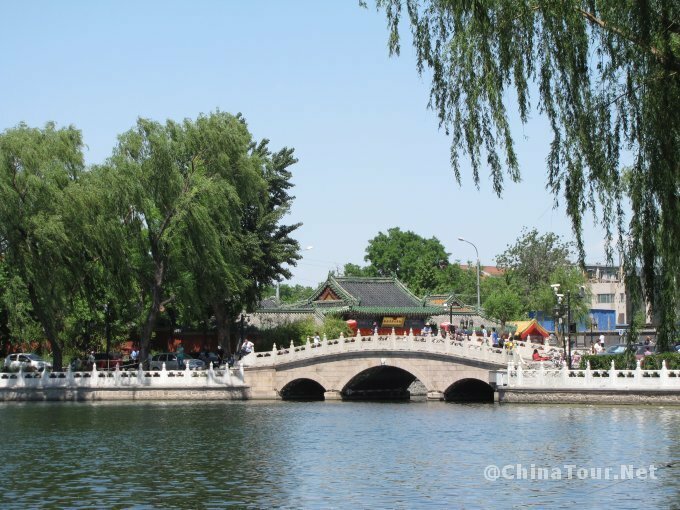 The best known among them are Prince Gong’s Mansion, which used to be the residence of He Shen, the most avaricious minister of the Qing Dynasty, and the Yinding Bridge, which is known as the best place to view mountain side near the area. 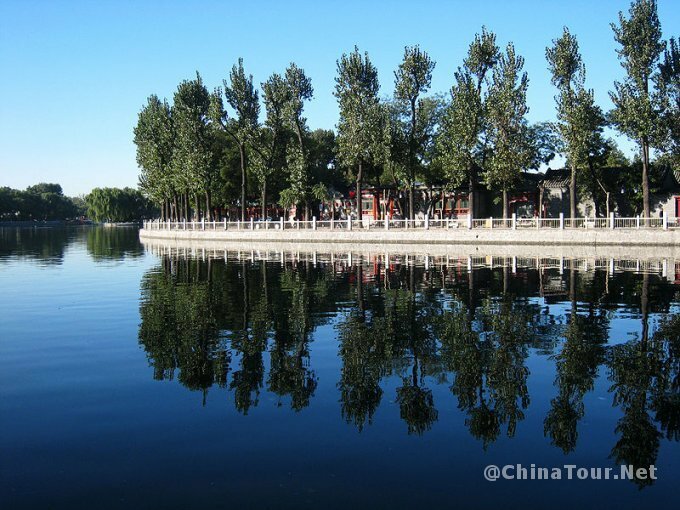 Shichahai Scenic Area is a traditional scenic spot with original folk culture and old Beijing feature. 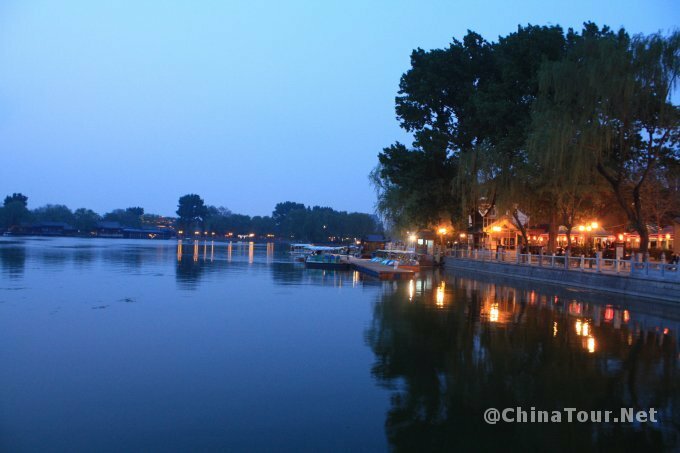 From Yuan Dynasty downward, it had been a commercial serving-point for Beijing-Hangzhou Grand Canal navigation. 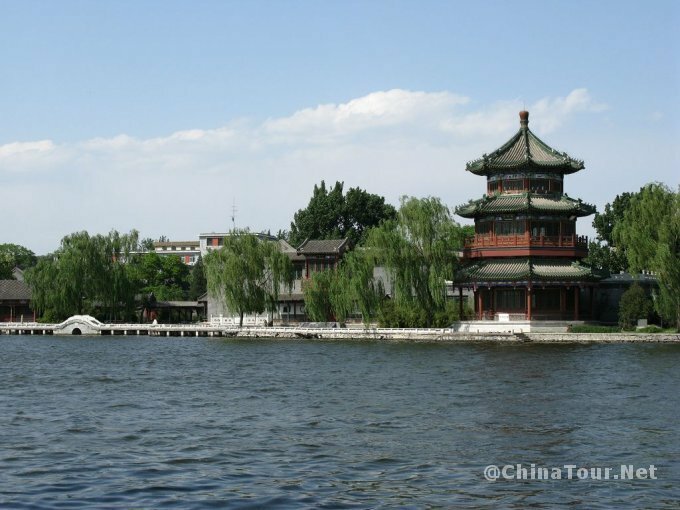 Pubs, teahouses, eateries and handicrafts’ workshops flourished flanking the lake.